Physical therapists, lab technicians, pharmacists, and other clinicians are vetting order sets – menus of optional and default orders – that have been created to work with their departmental workflows in CareConnect. Orders are instructions given by physicians to their staff members related to patient care – for example, laboratory tests to be conducted, medications to be prescribed, or the diet a patient should be on. Ancillary staff members began attending CareConnect Clinical Content Coordinator – Ancillary Vetting Meetings in December to give their feedback on an estimated 200 order sets that are being developed to correspond to UCLA workflows by CareConnect’s clinical content team, physician clinical content coordinators, and UCLA physicians. 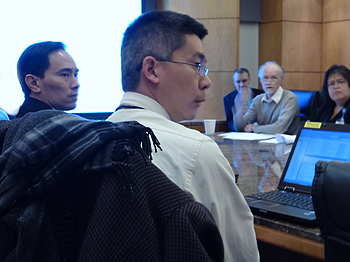 At a Jan. 11 meeting, the group reviewed six order sets – including those created for congestive heart failure, adult pneumonia, adult cellulitis, and colonoscopy. 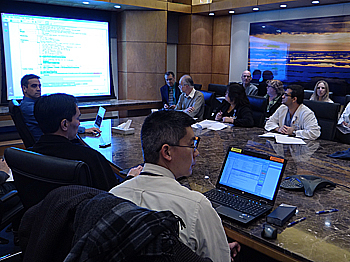 Last fall, a group of clinical content coordinators – made up of eight UCLA physicians – began meeting with physicians from different departments to build the order sets and medical note templates in CareConnect. “It has been a tough process. We were working to help the doctors decide what they want to see on the screen, in what order, and in which format. 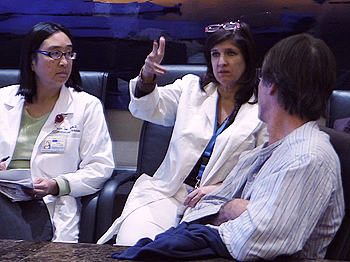 We’re integrating best practices where possible and the expert opinions of the many specialists we have at UCLA. We are trying to be as inclusive as we can so all the best ideas are included,” Woo said. Vetting sessions for ancillary staff began in December. They will be held twice a month initially and increase in frequency as needed. 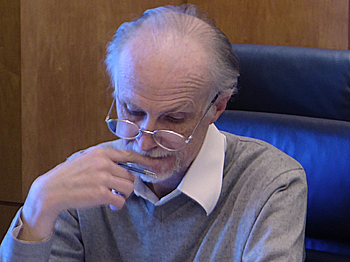 Gebhardt said it took quite a while for the ancillary group to get through order sets at its first meeting in December – taking more than an hour to get through the first order set. Lori Martinelli, clinical educator for the UCLA Health System’s respiratory therapy department, has been active in validation sessions and work groups – and now is helping to determine what will need to be in individual order sets. 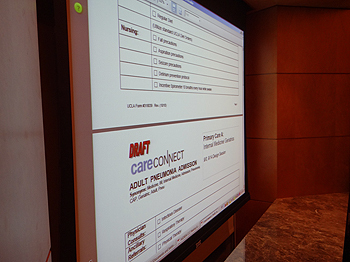 Respiratory therapy staff members currently chart in Essentris Critical Care, and Martinelli said CareConnect will streamline processes by giving them an opportunity to look at the workflows in real time. Five main order sets were created for the department – including those for airway clearance, oxygen therapy, and lung expansion. Additional subsets were created from there. “I’m really excited about CareConnect, and I’m proud of the work we’ve been doing as an enterprise. I think it really shows our commitment to patient care and how well we are working together to make this a great end product,” Martinelli said. Click here to read more about clinical content. Questions or comments? Click here to contact us or send us an email at CareConnect@mednet.ucla.edu. reviews a lab order set.